Less than two years ago, Telltale Games was hiring new staff and getting ready to launch quite a few Nintendo Switch titles. Unfortunately, the studio seems to no longer have a future, as around 250 employees have just been laid off and the small team of 25 that remains will complete a few ongoing projects before Telltale Games becomes history. Telltale Games has been around for less than 15 years, but this US-based video game developer based in San Rafael managed to put its signature on quite a few popular titles during this period, most of them inspired by TV series/books. The long list of games developed by this Californian studio includes The Walking Dead, The Wolf Among Us, Sam & Max, Game of Thrones, Minecraft: Story Mode, and Tales from the Borderlands. Unfortunately, all of it has just reached the end. 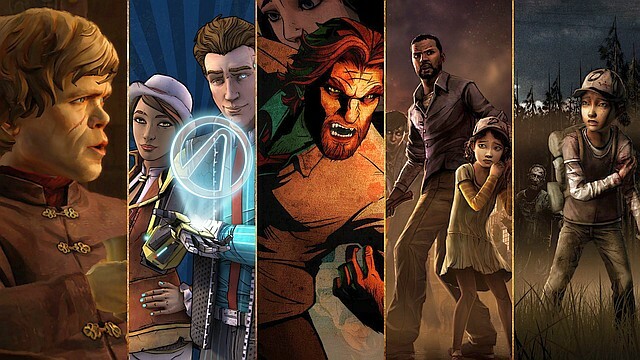 Multiple sources say that about 250 employees have been laid off without any warning and no severance, leaving Telltale Games with a small team of just 25 people. The official statement from the company that was published on Twitter says the following: "Today Telltale Games made the difficult decision to begin a majority studio closure following a year marked by insurmountable challenges. A majority of the company’s employees were dismissed earlier this morning." The second episode of The Walking Dead's final season is supposed to launch next week. The remaining 25 people should stay around "to fulfill the company’s obligations to its board and partners" but nobody knows yet how long will it take for Telltale Games to finally shut down all its projects and fire everyone. Back in November 2017, the company laid off 90 people — about 25 percent of its workforce at that time, so it was obvious that Telltale Games was sailing rough waters. However, not many expected for this week's major layoff to arrive, especially since The Walking Dead is such a popular game (and it's not the only successful title the studio worked on so far, obviously).